The CRK Umnumzaan is probably one of the most awaited knives of the last few years, with all the production problems causing a delay in new stock and consequently causing secondary market prices to rise, this knife is not easy to get a hold of. I received one in a trade and had a chance to carry it a bit and use it… It is indeed a very nice knife. The Umnumzaan is the newest folder from legendary knifemaker Chris Reeve Knives, maker of the Sebezna and Umfaan folders. 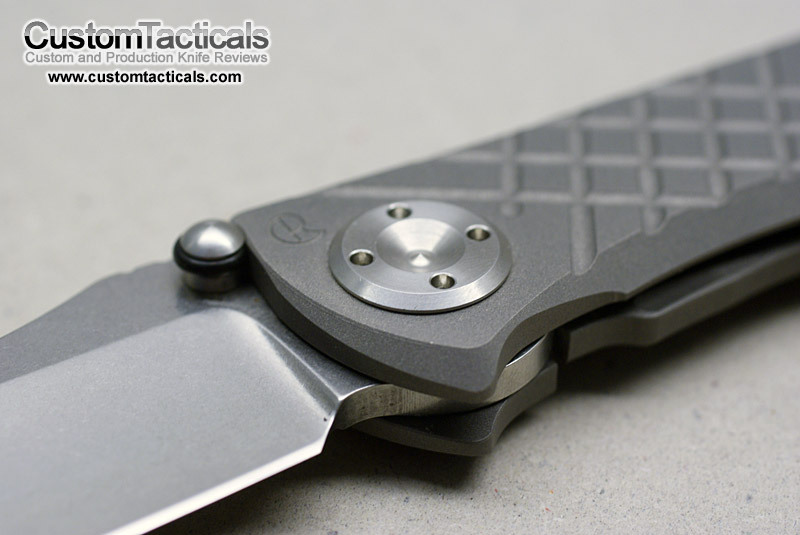 The Umnumzaan is unique in that CRK adopted a few new types of technologies and also has made this folder flickable. The folder can now be flicked open with help of the thumbstud, which could never be accomplished before with the Sebenza. 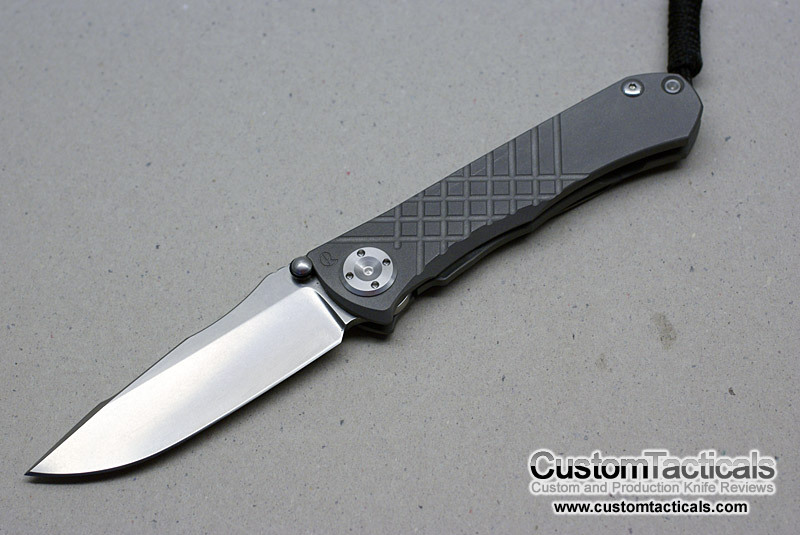 The ‘Zaan as we like to call it sometimes has an S30V blade, and machined Titanium handles. The thumbstuds have rubber dampers on them in order to make opening and closing the knife more quiet. The ball detent on the Umnumzaa is also unique in that it is a very large ceramic ball, which also doubles as the locking surface as it protrudes from both sides of the locking bar. This has made the knife very difficult to manufacture reliably. Theoretically, the ceramic ball removes any worry of the lockup ever wearing out as it rolls onto the tang of the blade without rubbing against it causing it to wear over time. Strangely, the ball creates a very strong lockup, even though I feel like it would be stronger with a bar as opposed to a ceramic ball holding the blade out. The Umnumzaan also has a dedicated notch for the lanyard, which is threaded into a floating pin that sits nice and snugly between the slabs. There is also a glass breaker point on the reverse of the blade tang that is usable when the knife is closed. The new pivot also does not allow easy takedown of the knife, and already there are tools that can be purchased to adjust the pivot. The new machined handles are a nice addition as they make the knife much more grippy in the hand. 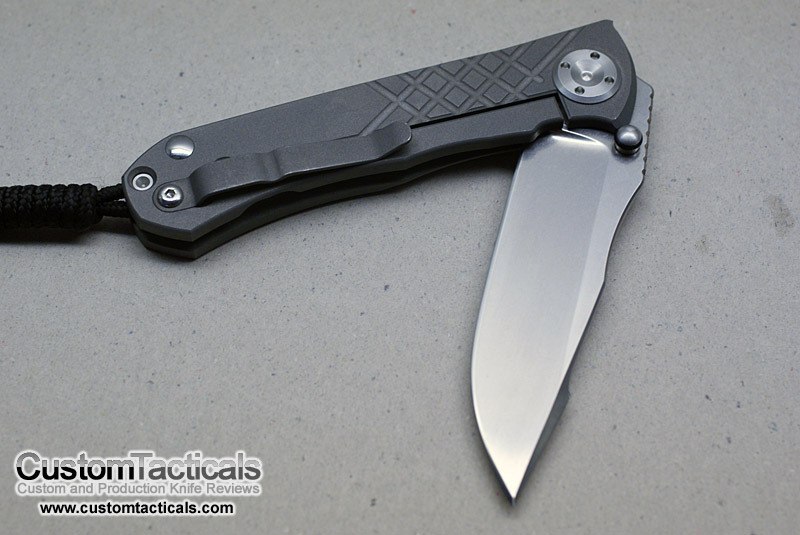 Chris Reeves has definately upped the ante with this new folder, and amazingly has been able to offer it at only a slight premium over the Sebenza. Currently production has been problematic, with very few units making it out the door so the folder is still very hard to get. But when you get it, you will see what makes this folder so special.